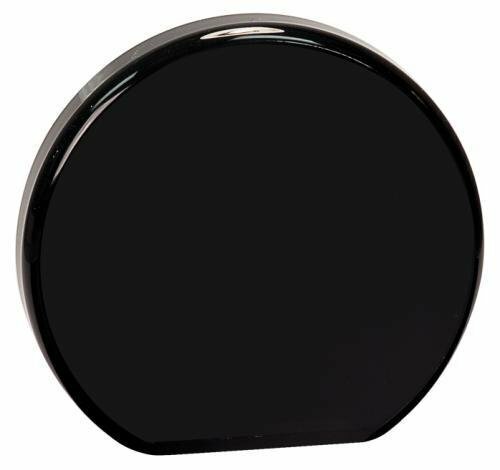 An Elegant black piano finish with a floating acrylic or glass plate 1/4" above the plaque wood for a three dimensional look and feel. Each plaque has a felt back for added elegance. 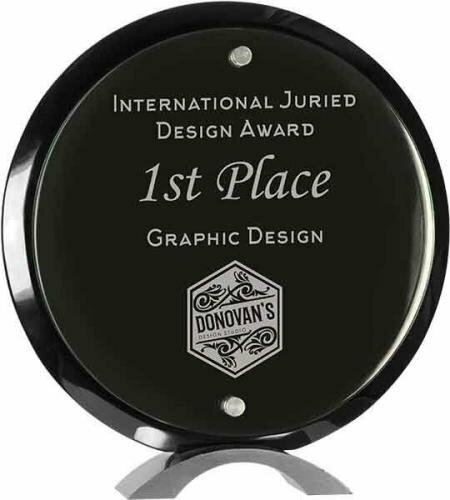 Can be displayed on the wall or on a desk using the included back pin mounts Full color imprinting available as an optional imprinting method for this award. 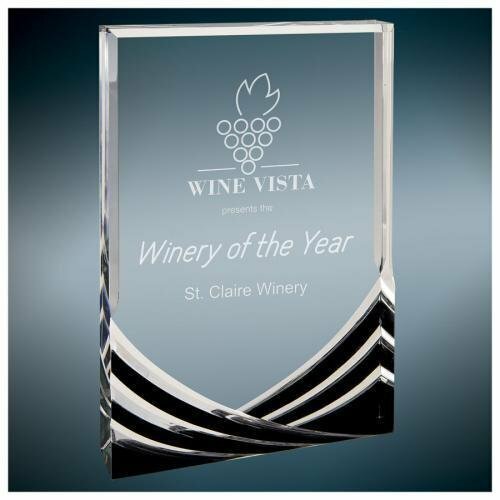 This elegant cathedral arched acrylic award boasts a large area for personalization that is highlighted by a rich black soaring double wave design at the bottom. The beveled edges and clear accents in the black wave design reflect light for added visual appeal. 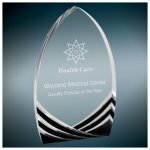 Available in two sizes, the award is 1 inch thick and freestanding. It's a perfectly stunning recognition of excellence or milestones achieved. 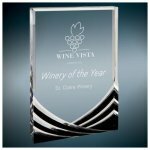 This elegant rectangle acrylic award boasts a large area for personalization that is highlighted by a rich black soaring double wave design at the bottom. The beveled edges and clear accents in the black wave design reflect light for added visual appeal. Available in two sizes, the award is 1 inch thick and freestanding. It's a perfectly stunning recognition of excellence or milestones achieved. 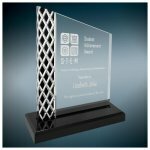 The peak design of this stunning acrylic award features a large personalization area accented by a bold silver diamond lattice that stands out over a band of black. 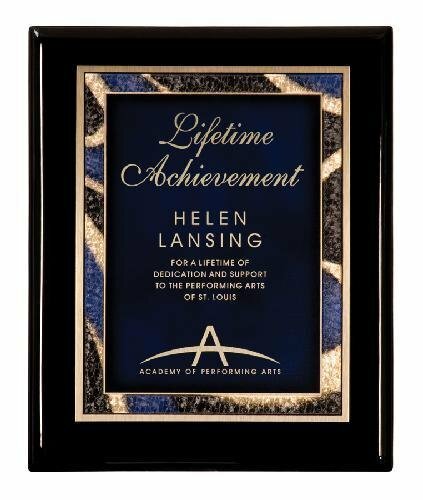 Mounted to a black base that can also be personalized and available in 2 sizes, this unique award is a perfect way to acknowledge excellence or milestones achieved. 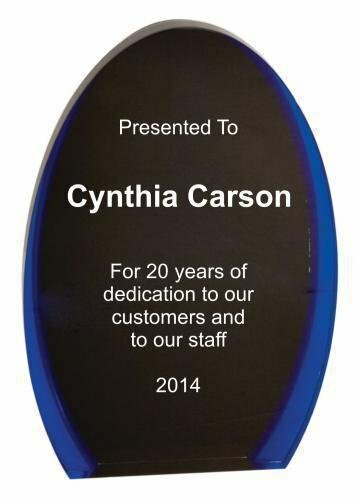 The Black/Blue Luminary Oval Acrylic award boasts a modern design and new look to acrylic awards. 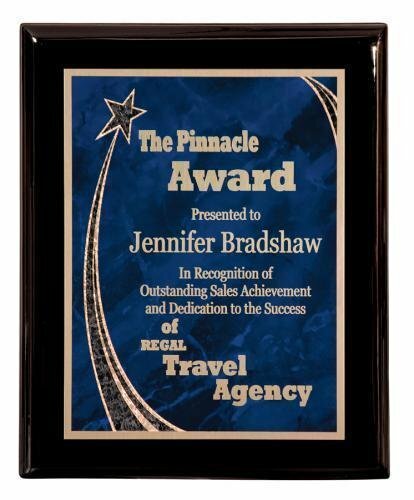 Present this acrylic award at your next employee of the year banquets, or give as a sales award or achievement award. Laser engraving to a frost white color for text and artwork.